An Awesomer is someone who through a series of long-term actions and behaviors has demonstrated that they are not satisfied with normal. They are achievers to a penultimate degree in their own industry specialty or area of interest. There are no monetary criteria to be an Awesomer, in fact, many mega-wealthy people are not Awesomers. Some of them are Normies. Others are even Basics! Awesomers want to thrive; not just survive. Awesomers are trying to improve their lives and the lives of those around them. They are trying to make an impact, in whatever way they can, on the world. Many Amazon Sellers are awesomers. They took the Amazon FBA opportunity and they siezed the moment by taking action. If you are an Amazon Seller or interested in selling in eCommerce you should take a moment now and listen to all the Awesomer origin stories. **The preceding statistics for each archetype above is 100% made up. We like to make jokes. But we'll always tell the truth and set the record straight. 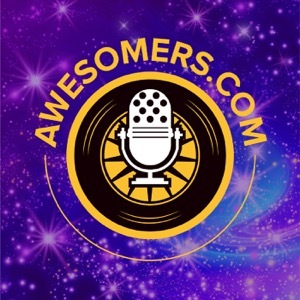 The Awesomers.com podcast, hosted by Steve Simonson, will showcase some of the amazing origin stories of Awesomers from around the world. There are so many truly inspiring stories from people from all walks of life, but most often the Awesomers that will be focused on will be those who are also entrepreneurs. We'll be launching in the last half of 2018 as we build the systems and a team to support this important effort. We hope you will join us for this exhilarating journey! We believe in embracing revelry and enjoying the journey. We know we have to work hard, but we do not have to sacrifice ourselves on the altar of #hustle. As much as we admire and respect those points of view, we believe in finding harmony with your long-term personal WHY and your business or work life. Harmony is better than balance. We agree with Jeff Bezos about this concept of harmony vs. work-life balance. Amazon Project Zero: How will this impact Amazon Sellers?